In 2008, when the G8 Toyako Summit was held, Hokkaido University started the Sustainable Low-Carbon Society Project. This website contains the real-time information about our activities and research projects. 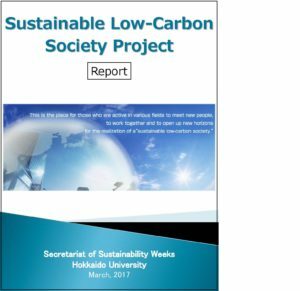 The Sustainable Low-Carbon Society Project is summarized into the report below.